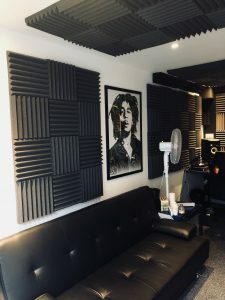 FarGo Music Studio is a music recording studio based in the buzzing creative community of FarGo Village Coventry. 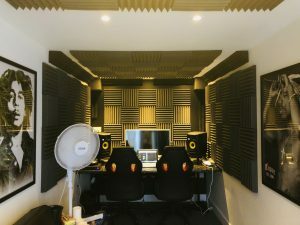 The studio is a shipping container converted into a modern digital production & recording studio. 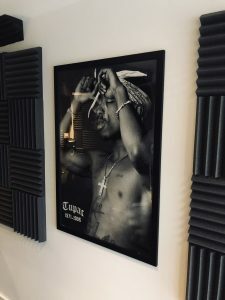 Fargo Music Studio is the home of Slumdog Productions, a music production company headed up by Jas. Jas has been in the music industry for well over 10 years. He has produced and written in all genres of today's music scene. Whether you're looking to create Dancehall, Afrobeats, Grime, Trap, Hip-Hop, RnB, House, Drum n Bass, Dubstep, Future Bass you name it your vision shall be come a reality. Within his career span Jas has gained support from BBC Radio 1, BBC Introducing, Kiss FM, Capital Xtra, MTV, Box TV, Clubland TV, Melodic Sounds & The Vibe Guide. Also achieving release success in Music Weeks Top 10 UpFront Club Chart & Music Weeks Top 20 Commercial Pop Chart. Jas has worked with the likes of Universal Music, Notting Hill Music Publishing, Gillette (commercial campaign) and many more.